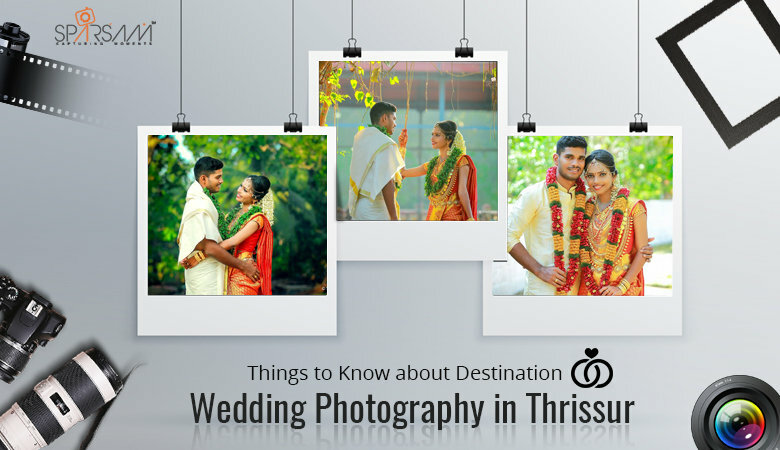 Things to Know about Destination Wedding Photography in Thrissur. The concepts of wedding photography are changing fast. People are organising their wedding ceremonies at scenic destinations. Thrissur in Kerala is blessed with natural beauty and the local wedding photographers are exploring the potential of the God’s own country. It is needless to say that destination wedding photography in Thrissur has lots of resources, still unexplored by the clients. Maybe what restricts us is, the lack of information. No issue! In this blog, we would talk about your destination wedding photographer. Next time, when you will be looking for a destination wedding photographer, things will be much easier for you. There is more to know about a destination wedding photography than what meets the eye. Here we go! 1 There is more to know about a destination wedding photography than what meets the eye. Here we go! You need to either appoint your service providers based in the locality which you have chosen as your destination wedding venue or pay for the travelling and lodging expenses of your family photographer as he/she will be accompanying you to the venue along with other team members. Kerala is loaded with panoramic views of the Western Ghats, the scenic beauty of the vernal green tea trails and the heavenly beaches and backwaters. There are some photographic services in Kerala which are adding value to the field of destination wedding photography. The biggest benefit of appointing a local wedding photographer is the cost-effectiveness of the contract. In fact, affordable service is one of the top priorities of the talented wedding photographers in Kerala. Young and passionate professionals are carrying out their passion (and not duties) with utmost diligence and sincerity. They are constantly updating their knowledge and implementing new and better ideas to the wedding photos, giving you more than the usual moments of rejoice. The experts suggest that you should catch vibes while you are in the knowing process. How comfortable are you with your wedding photographer? Please remember that as you have opted for a destination wedding, it is more important than what is usual. The wedding photographers would spend hours up close and personal. Better to appoint one whose portfolio speaks to you and, you form a smooth bonding with his/her team. The personality of the team of photographers should match their talent. You have said ‘yes’ to the destination wedding. Hence, you should have photography services in Kerala which could swiftly adapt to the new scenario. It is believed by the veteran destination photographers that if the photographer is himself/herself an avid traveller, it will be easier for him/her to adapt his/her skills and personality according to the surroundings. Both of these attributes play crucial roles in tackling the challenges put forth by a destination wedding assignment. The cost of hiring a destination wedding photographer includes airfare, ground transportation cost, the expense of lodging and food as well as if they charge an out of office fee as they will have to say ‘no’ to the assignments coming in that period. With the help of a robust budget, you could reduce the expense of destination wedding photography in Thrissur. Ask the service providers whether they would generate an invoice after the completion of the ceremony or would include your project in a package. Make your selection carefully. Choose the best service provider whose invoice resonates with your budget. Rely on the authentic reviews.